Temperatures are cooling and ski areas all across the continent are gearing up for their winter season. 10Best wanted to know which North American ski resorts are the crème de la crème, so we asked our readers to vote for their favorites from a pool of 20 nominated resorts–mountains that offer serious snowfall, varied terrain, lots of lift access and all the desirable amenities in town. Last year's winner of the Readers' Choice award for Best Ski Resort sits between Truckee and Tahoe City, where skiers and riders enjoy some 6,000 acres of terrain, including 16 bowls, 270 trails and 42 lifts ferrying visitors to the top of the dual resorts, accessible on the same lift ticket. 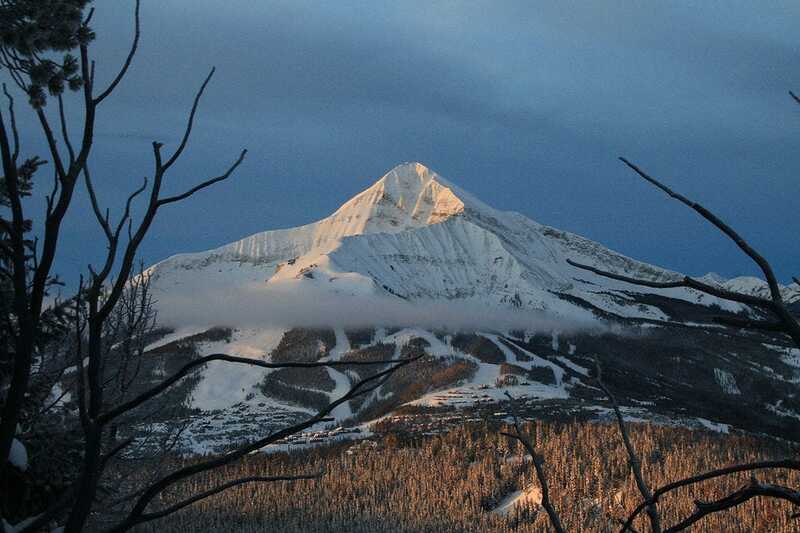 Big Sky Resort calls itself the Biggest Skiing in America for good reason. The Montana resort boasts a whopping 5,800 acres of skiable terrain, 300 named runs and seven terrain parks across four mountains. Other perks? 400-plus inches of annual snowfall and near non-existent lift lines. 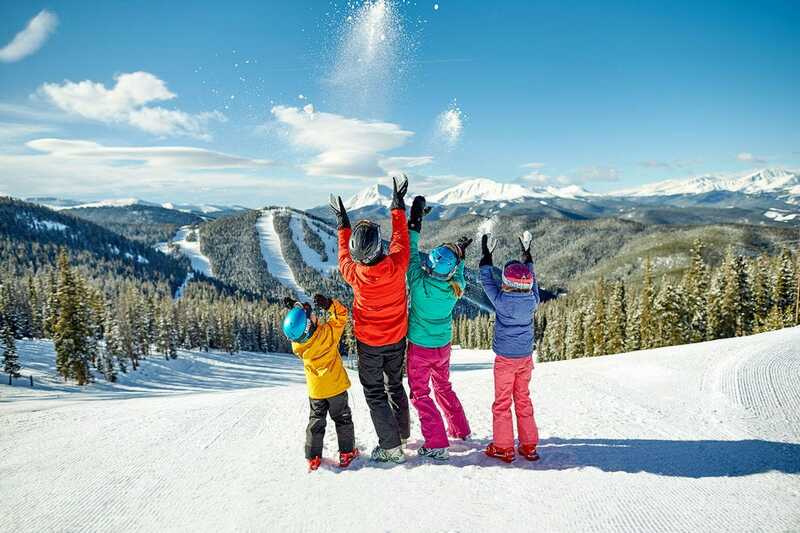 Some 128 named trails wind across several areas within Keystone Resort, including 11,640-foot Dercum Mountain with its long green and blue runs, ideal for beginner and intermediate skiers and snowboarders. The resort is also home to one of the nation's top terrain parks, packed with features for all levels. The park's Kidtopia program features free family friendly activities both on and off the mountain. 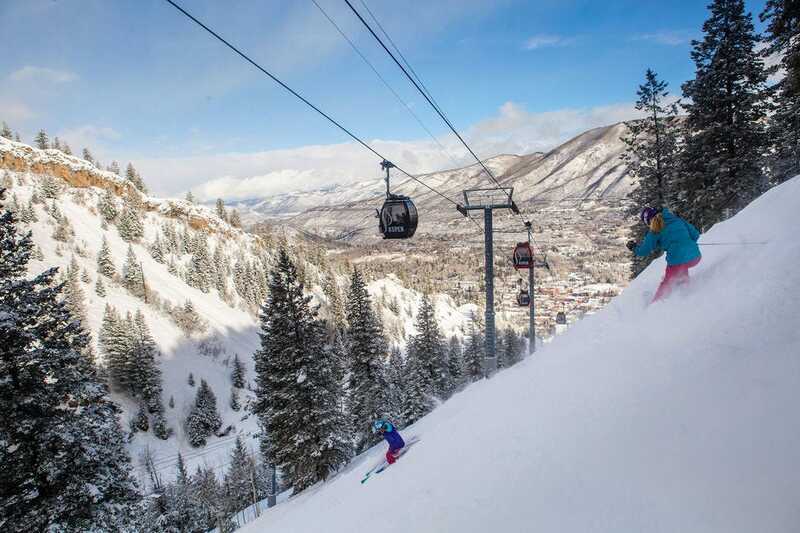 Arguably Colorado's most glamorous winter resort, Aspen Snowmass offers winter sports enthusiasts their choice of four ski areas in one. 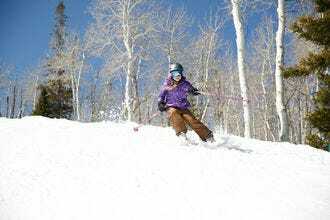 Aspen Mountain, with no green terrain, attracts intermediate and expert skiers in search of an adrenaline rush, while Snowmass and Buttermilk cater to freestyle riders with a plethora of terrain parks and pipes. Uncrowded Aspen Highlands is a local favorite. Lift tickets are good for all four mountains, each connected by a free shuttle. Beaver Creek offers a wide variety of terrain in its 1,832 skiable acres. Skiers and riders can choose from 150 trails and three terrain parks served by 25 lifts. Adrenaline junkies will find some of North America's best black and double black bump skiing. With more than 275 days of sunshine annually, there's also a higher-than-average chance for a blue bird day on the slopes. 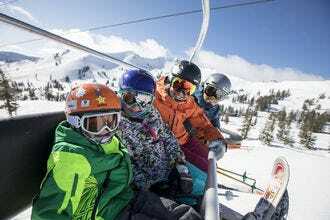 Thanks to its 2015 merger with Canyons Resort, Park City Mountain Resort is now the largest ski resort in the U.S., with more than 7,300 skiable acres, 38 lifts, seven terrain parks and 300-plus trails. 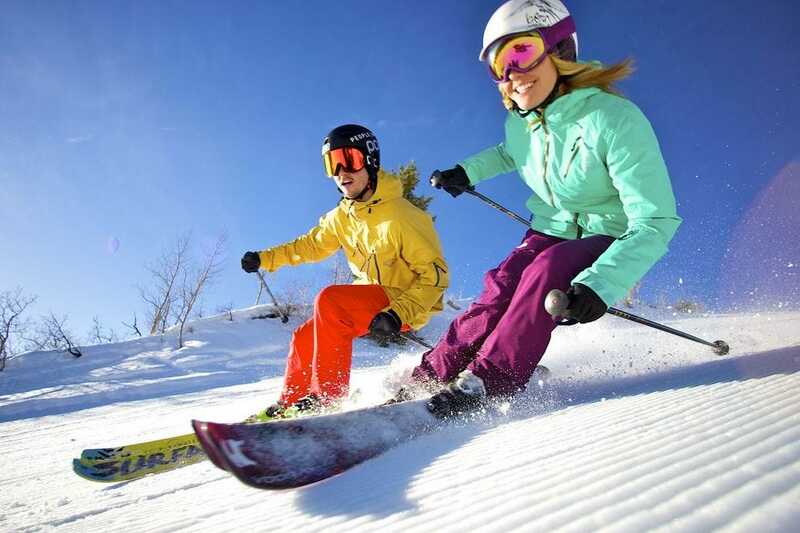 The resort offers loads of terrain for beginners and intermediates, with sufficient steeps for more advanced skiers and riders. The dry Utah snow is an added bonus. Deer Valley Resort features 2,026 ski-only acres spread across six different areas. With 101 named runs serviced by 21 lifts, Deer Valley appeals to laid-back skiers who like a hassle-free experience with plenty of groomers to choose from. More than two thirds of Deer Valley's terrain is rated for beginner or intermediate skiers, making it a great choice for families and newbies. Friendly Steamboat encompasses 2,965 acres of terrain across an entire range of mountains. Sixteen lifts service 165 named trails, while four terrain parks, each designed for a different skill level, appeal to freestyle skiers and riders. And Steamboat has produced more winter Olympians than any other town in North America! 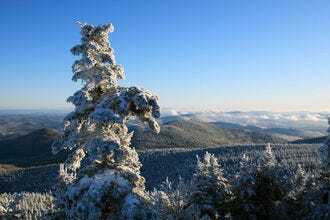 Sugarbush Resort, a hidden treasure in Vermont, encompasses a total of 4,000 acres across two mountain areas, including 2,000 acres of backcountry in Slide Brook Basin. Guests can choose from 111 trails and three terrain parks, including a half pipe. Varied terrain suits skiers of all ability levels, and 16 lifts mean guests spend more time on the slopes and less time in lift lines. 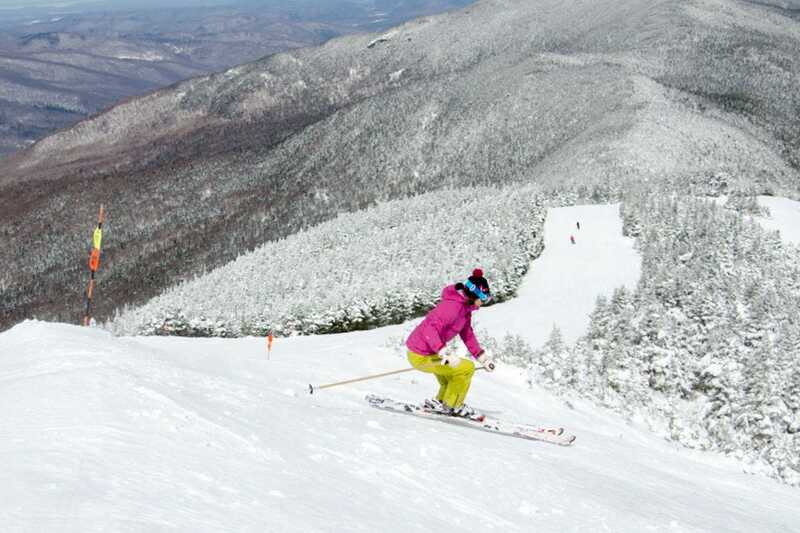 The Beast of the East is no stranger to superlatives–it's got Vermont's highest skiable terrain at 4,241 feet, the largest skiable area in the East (1,509 acres) and the longest ski season in the East, running from late October through mid-May. An even balance between beginner, intermediate and expert terrain, with 155 named trails, means there's something for everyone. Big Sky Resort - Big Sky, Mont. Keystone Resort - Keystone, Colo.
Aspen Snowmass - Aspen, Colo.
Beaver Creek Resort - Beaver Creek, Colo.
Steamboat Resort - Steamboat Springs, Colo.
Sugarbush Resort - Warren, Vt.
Killington Resort - Killington, Vt.